This spacious, charming house sits within the Forest of Dean, safely ensconced along a private road in the sleepy village of Staunton. The building is immediately striking, with its unusual shape and pale colour stark against the rolling green surroundings. 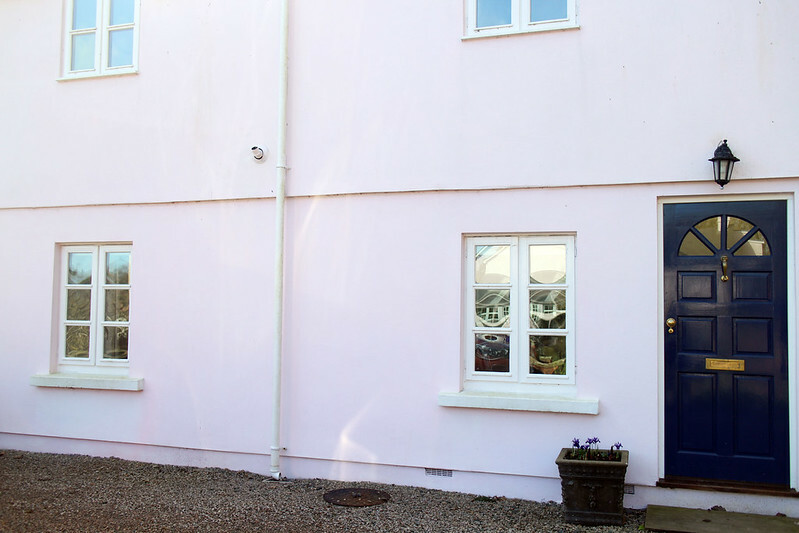 Once inside, guests are greeted with a small kitchen kitted out with any tool one might need for a self-catering getaway, as well as eggs, milk, and bread, kindly offered by the owners as a welcome. 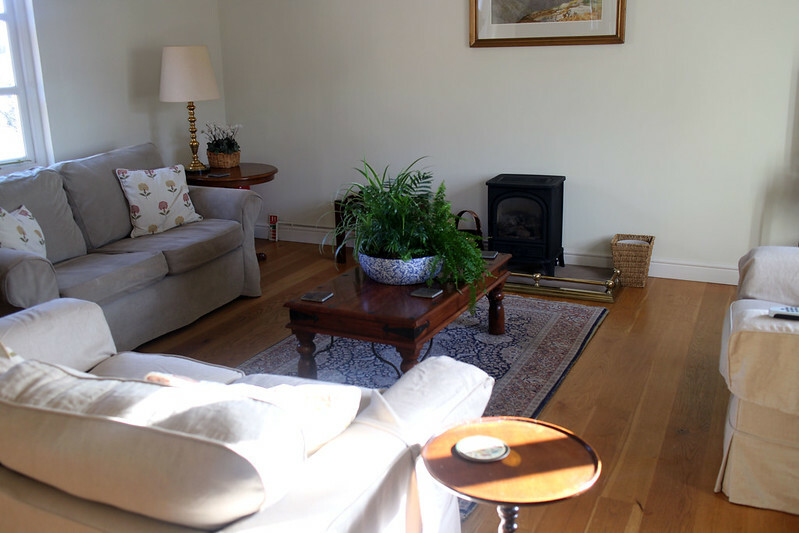 The property boasts a large, comfortable living room and dining area, making it perfect for a social or family holiday, while the two bedrooms and two bathrooms ensure privacy for all guests. The furnishings are plush and cosy, in warm, neutral colours, and there are interesting knick-knacks and antiques scattered throughout, enhancing the house’s sense of personality. 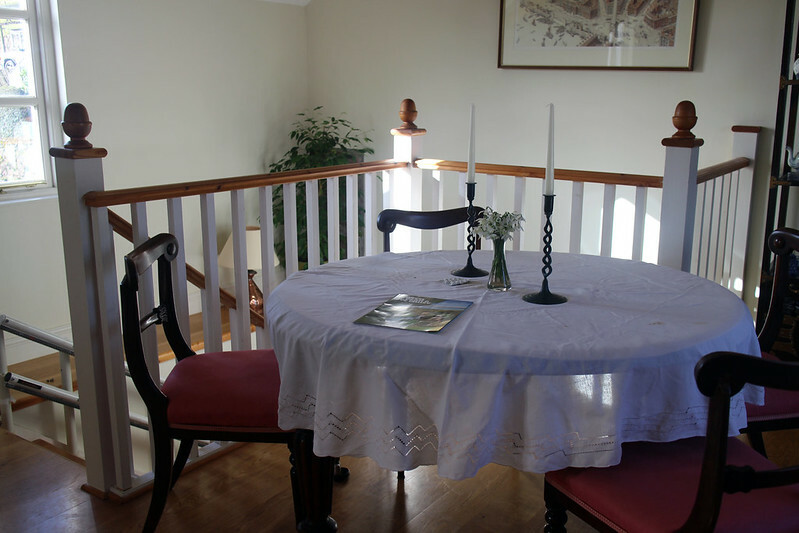 There is even a stair-lift, making the house accessible for anybody with mobility issues. For in-house entertainment, there is a television, a DVD player, a CD player, and a decent WiFi connection all situated within the lounge. Prodding a little further, there are drawers full of board games and local information to be found in the sideboard, including ordinance survey maps which prove extremely helpful when traversing the many routes through the Forest of Dean. Both bedrooms are comfortable and elegantly decorated, with soft beds and crisp, clean linen. There is a dressing table in each, including the personal touch of cotton pads and buds for guests to use, and the bathrooms are roomy with very good water pressure. The surrounding area is simply gorgeous. The village itself is a mismatch of unusual buildings and rural charm, with the Forest of Dean itself beginning merely a few steps from the Coach House’s front door. 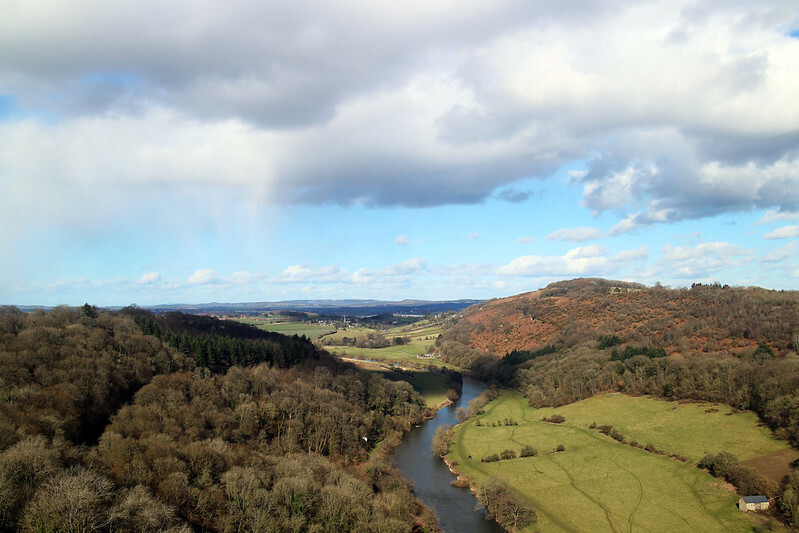 Following the maps found at the house, guests can walk to Symond’s Yat Rock and take in the view over the Wye Valley, perfect for bird watchers and nature lovers. Many routes are somewhat slippery during the colder months, but there are plenty of streams to wash the mud of your boots. 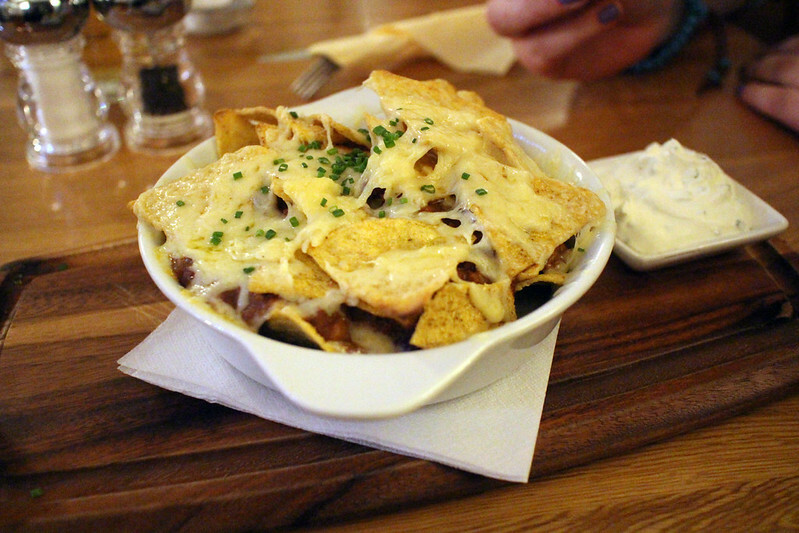 A short walk from the Coach House can also take you to the local pub, The White Horse – the last pub in England – wherein you can enjoy wholesome homemade food, local beers, an open fire and a friendly dog. Prioritise that list as you will. The owners of the house do everything possible to make any guest’s visit an enjoyable one. Alongside the breakfast food and local information, they also the use of their tennis court and swimming pool in the warmer months, and are eager to help and advise in any way necessary. The Buckstone House Coach House is perfect for those seeking adventure, relaxation, or simply a breath of clean country air. It offers space, comfort, and a warmth of character not often found to this degree in the average holiday home, and the glorious setting must be seen to be believed. Co-captain to the editor. Good at sliding down hills. Too stylish for her own good.